Despite the backdrop of the Atlas Mountains, most people would associate Morocco with wandering around the souks, camel rides through the desert and enjoying copious amounts of mint tea. 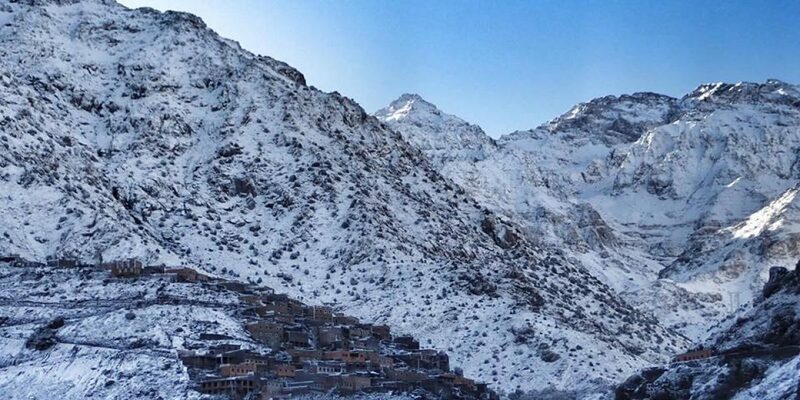 While the latter is true, Mount Toubkal is a peak that isn’t so well known amongst non-mountaineers, but stands at an impressive 4,167 metres (13,671 ft) with incredible views of rural Morocco. Mount Toubkal or Jebel Toubkal is the highest peak in the Atlas Mountains, Morocco, and North Africa. 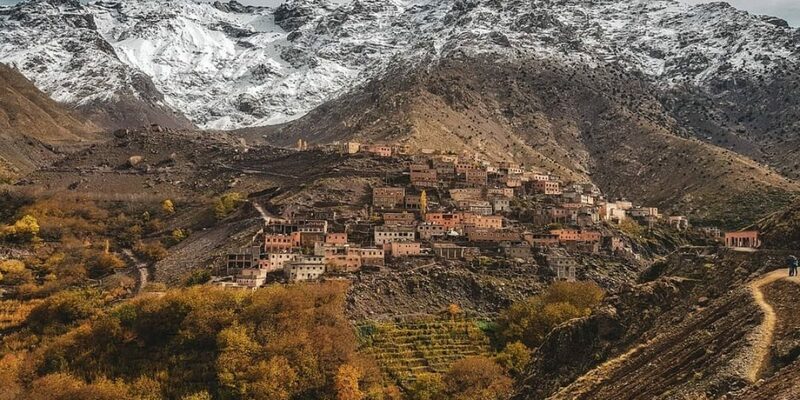 Toubkal is apart of the Atlas Mountain Range and is located in the southwestern part of Morocco, about 60 km south of Marrakesh. it is an ultra prominent peak, the highest for over 2000 km and a popular destination for climbers. 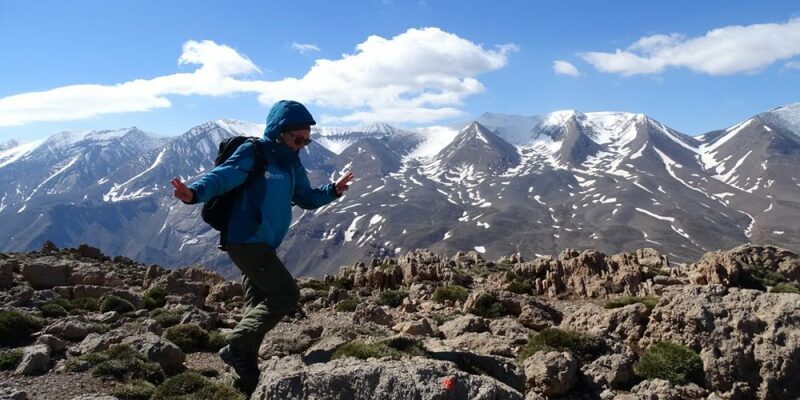 Climbing Mount Toubkal is an excellent introduction to your mountaineering adventures, taking only a long weekend to complete. North Africa may seem a world away, but it’s just a short flight from the UK, making it the perfect first-time high-altitude hike. 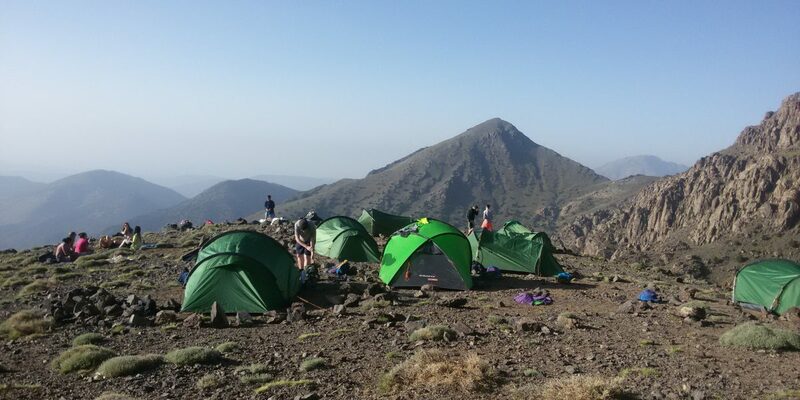 Jebel Toubkal offers a very different experience to climbing the European Alps. 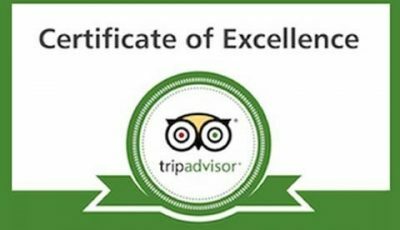 Enjoy Moroccan cuisine, beautiful mountain landscapes and warmer climates as you ascend this iconic mountain. 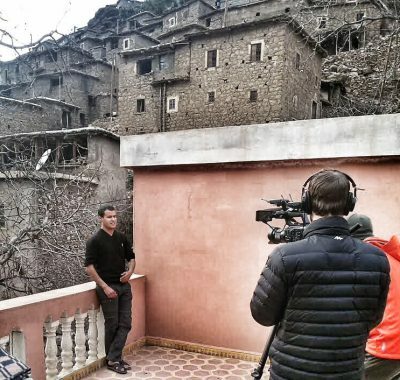 The most important of which is the need to provide the national card for Moroccans and the passport for tourists in four inspection areas that were established along the road leading to Mount Toubkal. In addition to the number of days the visitor will spend in the area and Mount Toubkal, and the places he will visit. All those wishing to use a tour guide familiar with the terrain, in order to accompany them on their trip to avoid any problems may be encountered. Among the other measures described as extreme, the tents were not allowed to be installed in the park until a permit was obtained by the local authorities. Some see mountaineering as an unnecessary sport, while others see it as the best example of endurance, sacrifice and challenge. Despite the many risks that can kill a climber, many people love it and find it an amazing way to endure the darkest and most dangerous situations. So if you’re planning to climb a mountain and explore it yourself, here’s a set of tips to help you achieve your goals. Make a thorough search for the right places to climb and read about the skills and experiences of mountain climbers so that you are not exposed to a difficult situation. You need to know the equipment needed to complete the task and read the observations of your predecessors. 3. Before going to climb the mountain, you must undergo a long workout that helps you raise your fitness level and provides you with the means you are looking for to perform the adventure in a perfect way without muscle strain or cramps while you are half way through, A halt in the middle of the road means the inability to complete the journey up or return to the starting point again. 5.There is a lot of mountains in remote parts of the world, and climbing can be a bit unpopular for local people to maintain their original state or because there are no local facilities to save you. If it comes out of control. 6. In your first experience of climbing a mountain, do not perform the task alone, but try to be with someone who has experience in this area, so take advantage of his guidance on terrain and weather, places where you should take a break, rugged terrain or moving rocks that do not prefer to approach Of them so as not to slip your body. 7.Continue your training and climb simple areas alone such as icebergs or volcanoes. This will help you increase your skill and address new experiences that you lack. 8. Join the mountain climbing club in your area so you can get reliable information about the areas you want to visit, learn about the experiences of your predecessors there, how they were able to finish their mission, what obstacles they faced and how to overcome them. 9. Get ready to travel to the nearest area where you have mountains, and start preparing your luggage and equipment because you will stay there for a relatively long period that may last for more than a week and make sure you bring with you everything you need, either equipment or first aid just enough time to try climbing the mountain . 10. The climb from the top of the mountain is not as easy as you imagine, so do not try to land quickly or without paying attention to the route you take, Many of the accidents were caused by the landing rather than the climb, as the vast majority of mountaineers are concentrating their energies on climbing up the mountain. 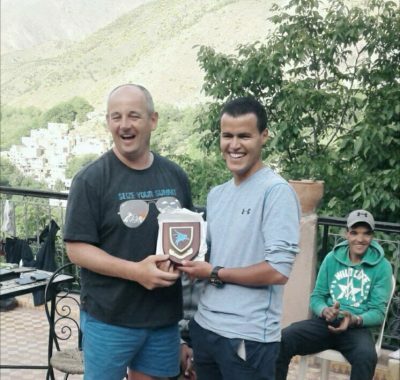 If you don’t have time for all this training and you still want to climb mount toubkal we recommend to Use one of the Local travel Companies. ClimbingToubkal is the Best in the domain. We been organizing Treks to the Top for more than 10 years.